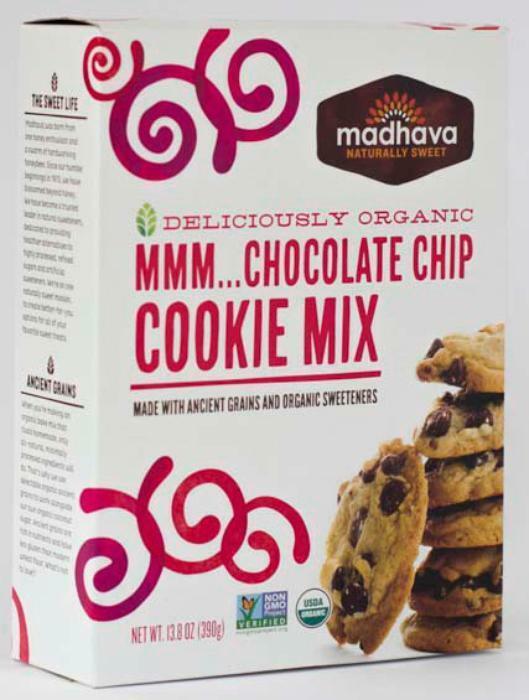 Madhava Natural Sweeteners of Longmont, Colo., is recalling MMM... Chocolate Chip Cookie Mix. The recalled product, in 13.8-oz. boxes with the item UPC of 0 78314 25105 0, was distributed nationally through retail channels. Customers who have purchased the recalled product should return it to the place of purchase for a full refund. Consumers with questions may contact the company at 1-800-530-2900, Monday – Friday, 8:00 a.m. to 5:00 p.m. (MT).